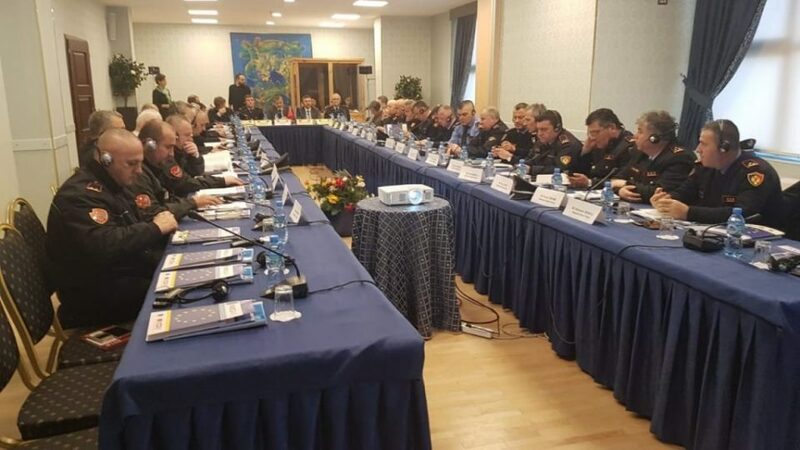 On 28 January 2019, Directors and Deputy-Directors of Departments, Directorates of central and local Police Directorates and Rapid Intervention Units of Albanian State Police (ASP), were brought together for a training workshop on managing major and special events at strategic level. Italian experts, such as Mr Passariello, Head of Italian National Information Centre on Sports Events at the Italian Ministry of Interior, and Mr Cannizzaro, Head of Staffing Services of VEVA Events, shared their rich national and international experience in this subject. The workshop was opened by Mr Gjovalin Loka, Head of Public Security Department at the ASP, and PAMECA V Team Leader, Mr Carlo D’Achille, who emphasised that ensuring the security in public and sports manifestations is particularly complex and challenging for State Police because it is necessary to find the right to balance between two main needs of our communities– the right to security from one side and the right to actively participate in major events. The training workshop was welcomed by all the participants, who expressed the need for other similar trainings including those at operational level.